Outside the Hilltop building on the The International School’s campus is a beautiful place for students to engage in hands on learning. TIS students delight in planting vegetables and flowers, growing cover crops, playing with worms, and discovering other forms of life from the outside world. 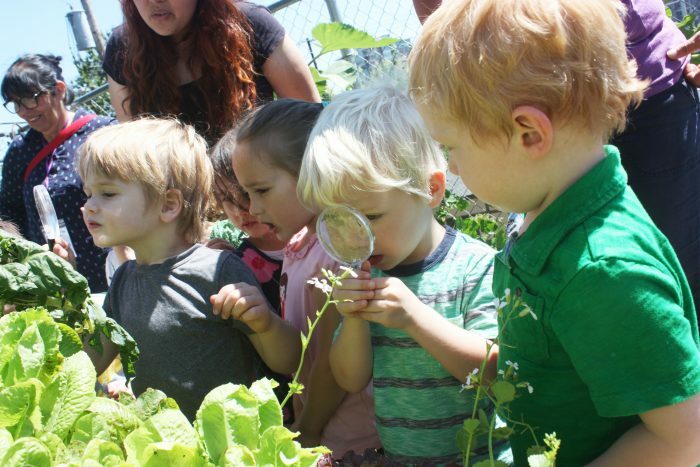 Throughout the year, Garden Manager Priscilla Lane (a volunteer parent of a TIS alumna) coordinates with teachers and directs a program that educates students about the world of growing. 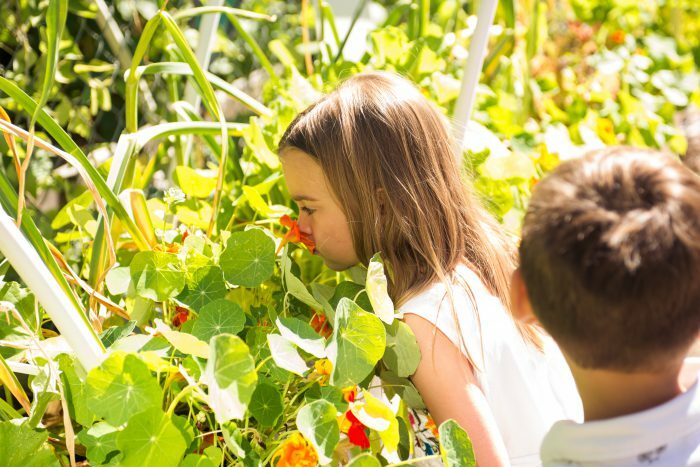 The school garden is a powerful tool for promoting science education, engaging students in healthy behaviors and maintaining a connection to nature. As a living laboratory for studying soil, bugs, and plant growth, the TIS garden program also teaches lessons in teamwork, responsibility, and the results of careful nurturing. The garden provides a natural laboratory for IB themes How the World Works, Sharing the Planet, and How We Organize Ourselves. In the spring, PreK students handle worms from a compost bin and plant beans. The next fall as LowK students, they harvest the beans and make soup. Kindergarten and first graders continue with planting and harvesting seeds and bulbs. The second graders study insects and relations to the life cycle, and fifth graders learn about plant propagation. Learning in the garden does not stop when school ends – Gardening is offered as part of our extended day enrichment programming, and TIS summer campers and volunteers work hard in the garden all summer! Campers may plant vegetables (which are harvested in the fall), decorate the garden, and learn about bugs and other garden wildlife. We are always looking for parents to be summer garden volunteers! If you are interested in helping water the garden and/or in leading garden activities with campers, please contact the summer camp office (summer@intlschool.org). Visit our summer camp website for more information about summer camp!